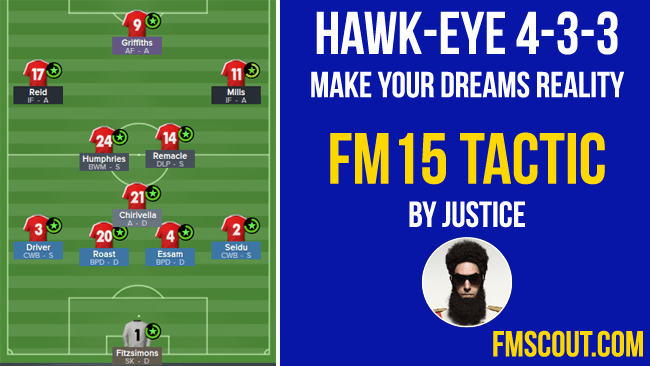 Make Your Dreams Reality - The first of many different FM15 tactics which I will upload here. Football Manager is undoubtedly one of the most addictive and time-consuming games of all time. Us players have logged thousands of hours playing through virtual years of football, winning many trophies and plaudits on the way. However, 99% of all FMers have only scratched the surface of what is a truly enormous world inside FM. So much happens in the game which evades the gaze of us avid players of this delightful gaming series. Every gaming session brings a new surprise and a new adventure. I began my Football Manager journey back in '07, and have carried the torch proudly since. Admittedly, I spent the first six/seven years just playing mindlessly, not knowing what I wanted out of the game. Two seasons ago, I began to recreate real-life tactics. This started with The Brendan Rodgers System. 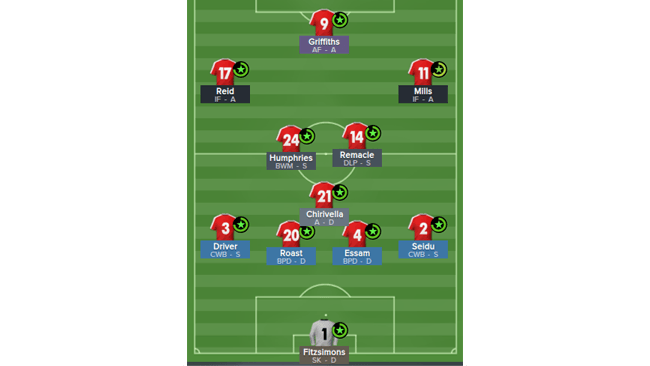 Last season, I produced the same system, with another popular Liverpool tactic which I named Poetry In Motion and I even released a José Mourinho System! Collectively, these four tactics gained over 80,000 downloads, a figure which I am very proud of and has inspired me to keep replicating systems. I had even created Sir Alex Ferguson and Joachim Löw tactical systems, although I never got around to posting them. Admittedly, I had become bored of copying another man's tactics. I had learned my lessons from these fantastic managers, who have all been great inspirations for me. Now, I am reborn. I am currently approaching my sixth season in a save with Whitehawk Football Club, and you can follow my progress here. This year, I want to create my own systems. I want to leave my own mark on the FM world with my own creations. Yes, I have taken some inspiration from managers such as Mourinho and Guardiola, but I am now my own tactician with my own ideas. While they may not work for everybody, they work for me. I just choose to share my work publicly for everybody to have the choice of sampling it. So, let's begin with my first invention of FM15! 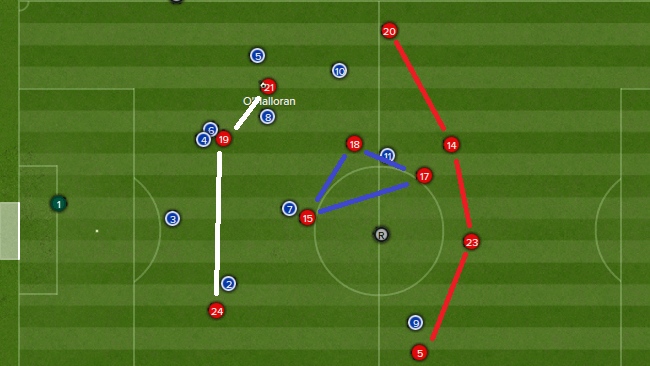 Well, as you can see, this tactic utilises a 4-3-3 formation (or a 4-5-1, if you would call it that). My inspiration behind this formation is that I had just been promoted to the Sky Bet League One with Whitehawk FC and I wanted to use a formation which provided me with fire-power while giving me a solid defensive back-bone. This formation arguably provides the most cover in all areas of the pitch. Team Shape: This is how your team acts through each phase of the game. I have my Team Shape set to Very Fluid so that my players contribute to both our attacking play and defensive play. I believe that the more numbers you have contributing to a certain aspect of the game, the easier it becomes to win in that area. For this reason, I like to have "complete players" who have the attributes to compete in all areas of the pitch. Strategy: This is your mentality when you take on an opponent. My Strategy is set to Control as I like to be the team on top by putting the opposition under constant pressure, without over-committing going forward. I am a very very ambitious manager and for me, every game is a must-win game and so we must act like that. However, I do not ever get carried away with myself and I treat each opponent with respect. This is why the Strategy is set as it is. Passing Style + Tempo: I am a big fan of possession-based football and we do indeed have the Retain Possession instruction in place. In order for us to keep the ball moving around smoothly, we use Higher Tempo Shorter Passing. However, I do give my players a license to Pass Into Space, should the opportunity arise. This is a good way of getting the ball around the pitch quickly while still holding on to the ball. The majority of the time, the team with the most possession does win the game and that is exactly what we aim to accomplish. Attacking Play: I like to make the game nice and compact at all times to keep all my players involved. Our defence does Push Higher Up and our wide players do Play Narrower. This gives our players more passing options and it also gives us a numerical advantage in the danger zones in the final third, rather than being stuck deep or out wide all the time. We like to build up well and we do indeed Play Out Of Defence, all the way forward to Work Ball Into Box. Whenever we do get wide with the ball, my wide players Hit Early (Low) Crosses in order to find a fellow attacker quickly. In order to give our attacks more variation, my players are allowed to Roam From Positions and Be More Expressive. With high-quality, intelligent attackers, you can't go wrong. Defensive Play: When we don't have the ball, it is all about winning it back quickly and pressing the opponents to making a mistake. I instruct my players to Close Down More and to Get Stuck In so that we can forcefully disarm our opponents. In recent days, a lot of teams like to build from the back and so we counter this by Preventing Short GK Distribution. Goalkeeper: I like to use a Sweeper Keeper (Defend) as this means my man in nets will rush out to close down opposition strikers if his defence is beaten. It also means that we have another "ball player" on the pitch who will pass it around. I like my goalkeepers to distribute the ball short and quickly, but not make any risky passes so that we are safe when moving the ball around the back. My goalkeeper primarily distributes the ball to either of the two full backs who then move it on. Defender - Right: My full back in this case is a Complete Wing Back (Support). His main duty is to charge up the wing and assist in attack. In the role he is given for this tactic, he will need to combine his attacking duties with defensive roles in order to keep us safe from enemy attackers. Defender - Centre (Right): My two CBs are both Ball Playing Defenders (Defend). A lot of people dislike BPDs because they may concede more mistakes but I enjoy using them. A team has eleven footballers in it and I like each and every single one of my players to be good on the ball and be able to knock it about well. In this tactic, my CBs do not close down attackers as much as other defenders would as I want my central defensive shape to stay strong and allow other players to do the running. Defender - Centre (Left): My two CBs are both Ball Playing Defenders (Defend). A lot of people dislike BPDs because they may concede more mistakes but I enjoy using them. A team has eleven footballers in it and I like each and every single one of my players to be good on the ball and be able to knock it about well. In this tactic, my CBs do not close down attackers as much as other defenders would as I want my central defensive shape to stay strong and allow other players to do the running. Defender - Left: My full back in this case is a Complete Wing Back (Support). His main duty is to charge up the wing and assist in attack. In the role he is given for this tactic, he will need to combine his attacking duties with defensive roles in order to keep us safe from enemy attackers. Defensive Midfielder: This guy is the Anchor Man (Defend) of my team. His job is to sit just in front of my two CBs, keep the shape well and win the ball back when it's near him. My DM is unorthodox in the way that he closes down opposition players less in order to keep the defensive triangle between himself and the two CBs strong and unbroken. In many ways, he is a third CB. Midfielder - Central (Right): This guy is the Deep Lying Playmaker (Defend) of my team. While I usually have my DLP playing in a support role, I use a more defensive role so that he sits all that bit deeper while the others push higher up. He is the one player in the team who's passing range is not always so short. He also does the closing down which my Anchor Man does not, protecting our defence. When he wins the ball back, he begins the attacks as quickly as possible. Midfielder - Central (Left): This guy is my Ball Winning Midfielder (Support). Yes, this is a very defensive midfield. However, I believe that the turnover of possession is vital to modern day football. This guy will push much more forward than my other two midfielders and he will look to close down opponents as high up the pitch as he can. Attacking Midfielder - Right: My wide players are Inside Forwards (Attack). They are very much part of my attacking trio and they will play a lot narrower than the formation suggests. These guys have the license to do whatever they want in attack, provided they do it well. They can run with the ball, make adventurous passes and shoot from wherever they want. These guys are my main scoring threats, along with the Striker, and they are required to perform consistently. Attacking Midfielder - Left: My wide players are Inside Forwards (Attack). They are very much part of my attacking trio and they will play a lot narrower than the formation suggests. These guys have the license to do whatever they want in attack, provided they do it well. They can run with the ball, make adventurous passes and shoot from wherever they want. These guys are my main scoring threats, along with the Striker, and they are required to perform consistently. Striker: While I usually prefer using a poacher, this time I am using an Advanced Forward (Attack). The reason for this is that I want my striker to close down the spaces and the opponents when not on the ball and then to be pro-active on it for himself and for others. He is allowed to move out of position to get in to spaces where he can create and do damage and he links up well with the two IFs. As you can see from the screenshot, this is how a typical attack goes for us. The AMR (IF - A) is running with pace at the defence, with his other two attacking team mates moving in to space. The DLP (number 18) is sitting deep in a position where he can pick up the ball in space while the BWM (number 15) is pushing high up the pitch. The Anchor Man (number 17) is sitting just in front of the two CBs to protect them. This is the basic shape of the team and as you can see, it covers all the main areas of the pitch. If you do decide to use this system, please take note that it may take several months for your team to become fully accustomed to this tactic, even if the familiarity bar is full. If your results at the start of the season are poor, this may not be the tactic's fault. It is just that your players need to have more experience in this system in competitive matches. My recommended training approach would be on Defending or Fitness, to get your team to be as able to nullify attacks as possible, as you will be looking to do so every game. Alongside this, you may also like to train your players in Ball Control in order for them to become competent on the ball. For match preparation, you can work on either attacking or defending set pieces, which is the norm for any team. If you are looking to train players for this system, train them in the roles which are included, so that they become familiar with them. Just remember, if you are patient with this system or any other system, it can succeed for you. 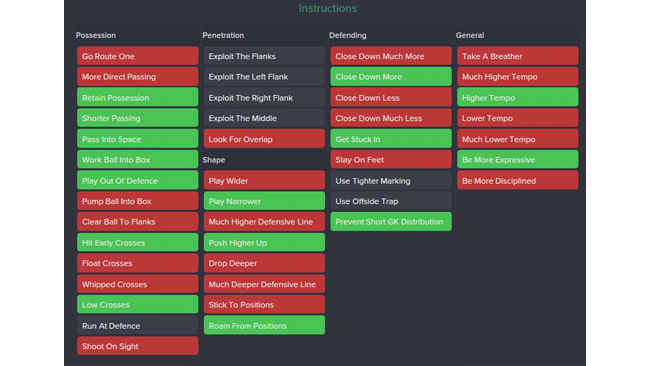 The 'Tactic' menu, located to the top left of the main panel, allows you to save and load different tactics. To Import or Export a particular tactic, select one of the tactics slots, which will display a dialog box. Then, open 'Manage Tactics'. 'Import' will prompt you to select a tactic (.tac file) to import into the game, whilst 'Export' will prompt you to save it to a directory. The 'Delete', 'Copy', and 'Rename' options allow you further control over your physical tactics files. I highly recommend this system to those looking to play a style of football which is defensive but lethal in attack. Be warned, it may take a while for your team to get used to this system. Also, I cannot guarantee that this tactic will be the best possible tactic for you. A tactic's success depends on the players used in this tactic. This is just a different way of playing which will hopefully bring you success.I hope that you enjoy using this system and I hope you have success with it. Any criticisms you may have are welcome, I am always looking to learn where I can improve. Thank you! I guess you did the same with your Sir Alex tactic? @GamingGamer99, unfortunately that Low system was on FM14 and I deleted it when I switched to FM15. Can you upload the Low tactic you never got around to posting? I'm happy you've had success with this! Handcrafted in Symi, Hellas. Page created in 0.239 seconds.